The FA Cup match most football fans will be looking forward to betting on this week has to be the one that's kicking-off at 7:30pm this evening when Chelsea take on Man Utd. We've got bookmakers best odds for Chelsea v Man Utd in the FA Cup below as well as a preview of the match, and the betting offers and price boosts to claim if you're having a punt. Check out the best odds that British Bookmakers offer for a Chelsea win (H), a win for Man Utd (A), or a draw (D) below. Use the ALL ODDS tab to view more bookmakers odds. NB: Chelsea v Man Utd betting odds correct at the time this match preview went live and are subject to change. Last updated: 04:27 on 18/02/2019. As well as bookmakers best odds, we've also listed their betting offers and price boosts that you can use when betting on Monday nights FA Cup fixture between Chelsea and Man Utd. Chelsea v Man Utd will be broadcast live on BBC 1 at 7:30pm on Monday February 18th. 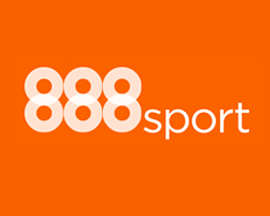 Signup as a new customer at 888sport using promo code '888ODDS' and you'll get the boosted price of 10/1 on Chelsea beating Man Utd instead of 57/50. Expires 19:30 18/02/2019. New customers only. £10 minimum deposit using promo code "888ODDS" required. Qualifying bet must be placed at the normal odds Min bet £5, max bet £5. Extra winnings paid in FREE BETS and added within 72 hrs of qualifying bet settlement. Further T&C’s apply, see 888sport website for full details. Signup as a new customer at 888sport using promo code '888ODDS' and you'll get the boosted price of 20/1 on Man Utd beating Chelsea instead of 12/5. 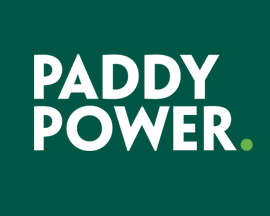 Signup with PaddyPower today and bet £20 on Chelsea v Man Utd and if you don't win your bet, they'll refund your original £20 stake - in cash! Two of the favourites to win this season’s FA Cup meet on Monday night, when Man Utd head South to take on Chelsea in the 5th round of the competition at Stamford Bridge. his highly anticipated clash is set to be one of the closest matches we’ve seen so far in the competition, however bookmakers offer current FA Cup holders Chelsea as favourites to win. This is basically a repeat of last season’s FA Cup Final, which saw Chelsea narrowly beat Man Utd 1-0, and The Reds will be determined not to lose to Chelsea again in the competition. They've met a total of 15 times in the FA Cup, and although Chelsea have won the last 3, Man Utd still have the better record with 8 wins compared to Chelsea’s 5 with 2 ending in draws. Although British Bookmakers offer the hosts as favourites, Man Utd have been playing extremely well under caretaker manager Ole Gunnar Solskjaer, and could prove difficult to beat. In the lead up to the FA Cup match between Chelsea and Man Utd, we've taken a look at both team’s recent form, and if there are any injuries that could impact this FA Cup 5th round match. Maurizio Sarri’s Chelsea side may be online bookmakers favourites to win the FA Cup clash on Monday evening, but they haven’t been playing at all well in their last few matches. Their last Premier League outing delivered a crushing 6-0 defeat by Man City, and with only 1 victory from their last 3 matches, Chelsea don’t look to be as strong as they've been in the past. A solid 3-0 win over Sheffield Wednesday saw Chelsea progress to the 5th round, and while this will be a tough match, there's no reason why they can't beat Man Utd with home advantage. In saying that, Man Utd can’t be underestimated, and despite losing 2-0 at home to PSG in the Champions League, Chelsea will really need to be on form if they're to win this FA Cup tie. Sarri’s men just came back from a 2-1 away win over Malmo in the Europa League on Thursday night and luckily Chelsea don't have too many major injury conserns ahead of the match. Only Gary Cahill and Marco van Ginkel are set to miss the FA Cup match against Man Utd. Man Utd progressed to the 5th round of the FA Cup having beaten Arsenal 3-1 at the Emirates Stadium, with Alexis Sanchez, Jesse Lingard and Anthony Martial all scoring. Although Man Utd haven’t won any of the last 3 FA Cup matches against Chelsea, they look extremely strong under Ole Gunnar Solskjaer and could easily take a victory on Monday night. The main concern for Man Utd is their moral after they lost 2-0 at home to PSG on Tuesday night but luckily no major injuries were sustained during the Champions League clash. Despite that loss Man Utd have won their last 3 away matches in all competitions and seem to be travelling well under Solskjaer and so their trip to Stamford Bridge could end favourably. Fortunately, there aren’t too many players currently sidelined, with only Darmian, Valencia and Rojo set to miss the match, while Victor Lindelof is expected to be available for section. Without a doubt, this is set to be the highlight of this weekend’s FA Cup action, and even though bookmakers offer Chelsea as favourites, this fixture could end up going either way! These two teams have played each other a total of 181 times throughout history with Man Utd having the upper hand having won 77 of the fixtures, compared to 55 wins for Chelsea. There have been 53 Premier League matches involving Chelsea and Man Utd, with side from London having the better record this time with 18 wins compared to 15 victories for Man Utd. The last 6 matches involving both of these tow teams have resulted in 3 wins for Chelsea (2 in the FA Cup), 2 wins for Man Utd and one of the matches ending in a draw. The last FA Cup fixture between these two sides was the actual Final on the 19th of May in 2018 when the match ended 1-0 to Chelsea with Eden Hazard scoring the only goal of the game. The last match where Chelsea played Man Utd at home at Stamford Bridge was the 2-2 draw in the Premier League that took place on the 20th of October last year in 2018. Antonio Rüdiger scored first for Chelsea with Anthony Martial then grabbing 2 goals to put Man Utd in front before Ross Barkley scored the equaliser in the 90th minute. The biggest win that Chelsea have ever had over Man Utd in their history was on the 6th of September way back in 1930 when they won 6-2 in the old League Division One. The highest score that Man Utd have ever beaten Chelsea by was also in League Division One when they won 6-0 at Old Trafford on Boxing Day back in 1960. Looking at the last 5 fixtures that Chelsea have played in all competitions, they've won 3 and lost 2 of them scoring a total of 10 goals (2 goals per game) but conceding on 11 occasions. Man Utd's record over their last 5 matches in all competitions is won 3, drawn 1 and lost 1. They've scored less than Chelsea, 9 in total (1.8 goals per game) but also conceded less (5).